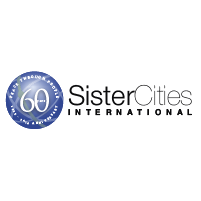 Are you an employee of Sister Cities? A sister city, county, or state relationship is a broad-based, long-term partnership between two communities in two countries. A sister city, county, or state relationship is officially recognized after the highest elected or appointed official from both communities sign off on an agreement. Our mission: To promote peace through mutual respect, understanding, and cooperation — one individual, one community at a time.